The Women’s field certainly doesn’t lack in terms of talent, with a number of Australian representatives with past World Cross Country, Commonwealth Games, World Championship and Olympic experience present. The two women most likely to duel each other over the course of 25 laps are Australian Olympian and two time Zatopek winner Eloise Wellings (14:54/31:41), and British Commonwealth Games competitor Charlotte Purdue (15:23/32:03). Purdue presents a wealth of cross country experience, enjoying success in a variety of European Championship competition formats, both senior and junior, whilst performing strongly at a number of World Cross Country Championships, with a best finish in the senior race of 14th. Purdue featured strongly during the Delhi 2010 edition of the Commonwealth games, finishing 6th and 4th respectively in the 5,000m and 10,000m events. Wellings, often based in Uganda with her own charity, the “Love Mercy Foundation” which aims to increase the quality of life for Ugandan communities through secure food, water, education and health supplies. 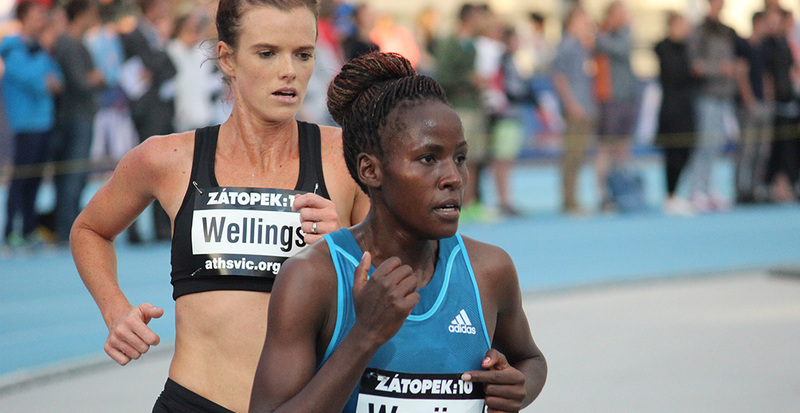 Wellings performed strongly at the most recent IAAF World Championships, finishing 10th in the 5000m final. Saturday’s Zatopek 10 will provide Wellings with an opportunity to kick her 2015/16 athletic season off with the formidable test of toppling the internationally credentialed Charlotte Purdue. Sean is a contributor to Athletics Exclusive in the areas of international results and racing. His background consists of events from 800m up to 5000m as a proud member of Frankston Athletics Club.